Israeli Jews living in Judea and Samaria may no longer rent out their homes and apartments on Airbnb. Yet Muslims, Christians, and citizens of the Palestinian Authority are free to continue doing so. The boycott targets only Jews. What is more, Airbnb has listings in many contested regions such as Moroccan-occupied Western Sahara and Turkish-occupied Cyprus to name just two. Many years ago, some of our children were in the audience at a business event whose speakers included Ben Cohen, co-founder of Ben and Jerry’s ice-cream company. This was at a time when U.S. troops were deployed in Iraq. Our children came home and said that the ice-cream maker’s words were not only anti-American but actually wished our soldiers ill. That was the end of our purchasing Ben & Jerry’s ice-cream. Despite the popularity of the dessert in our home, we don’t imagine that the company noticed our lack of support. It was less a statement to them than a statement to ourselves, though if enough people would do the same thing, the company’s bottom line would be affected. We simply could no longer enjoy that ice-cream. We are impacted by the things we say and do, even if nobody else is. For this reason, acting on principle has value even if nobody else will ever know. The point is, we know. And the action strengthens us. On the other hand, we have problems with the political positions of so many companies and we have not treated them all similarly. We would just about have to homestead on a self-sufficient farm to do so. We do try to react when a company’s behavior is egregious rather than simply wrong and harmful. We may very well be inconsistent. But inconsistency is not hypocrisy. Justin, we think that this is a call you have to make for yourself. If you are asking whether we think that Airbnb is singling out Jews and Israel in a way that they do not treat others, the answer is yes. If you will sleep better at night knowing that you are not partnering with them, then we salute you. All done with Airbnb. And haven’t purchased ANYTHING from the communist ice cream makers in years. We here in Israel do buy Ben and Jerry’s here in Israel. We have their ice cream plants here so it is made locally. I have heard that from many Israelis, Devora. The question isn’t about the workers in the plants, it is where the profits are going. From what I understand, Ben and Jerry sold the company even though their names remain. However, the power of the company certainly pushes for Leftist and anti-Israel causes. So, they are supporting Israel’s economy with their plants there while using the profits against Israel. 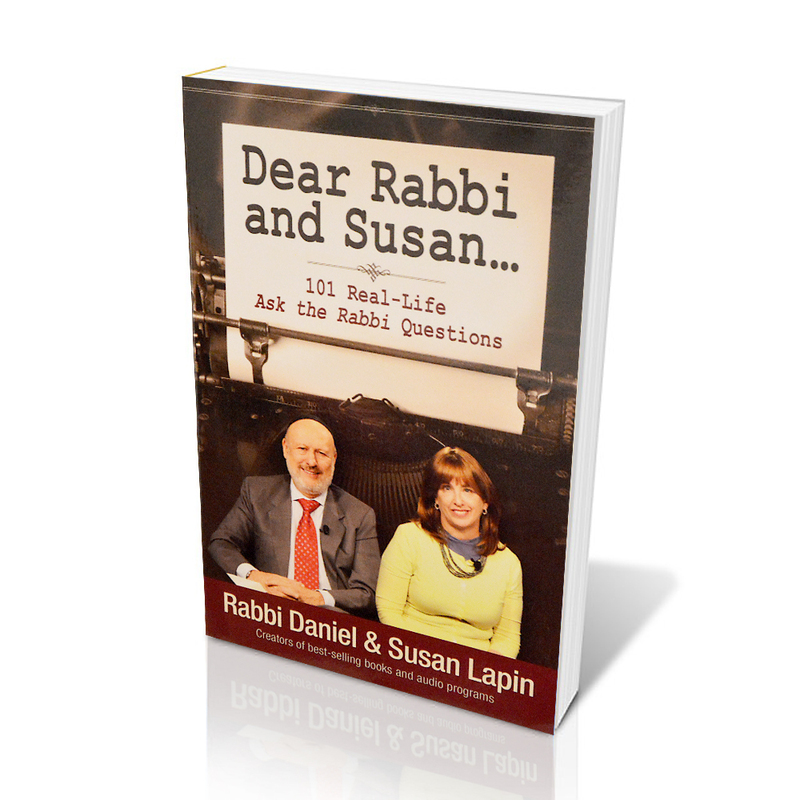 Thank you, Rabbi & Mrs. Lappin. Your insights are always so honest and poignant, hitting the true core-issue of a matter — which is vitally needed now, in our popular culture’s current trend of embracing delusion. As a career-long Marketing-Public Relations/Media Relations professional representing high-profile companies and celebrities, I can tell you all that the media realm of public discourse, news and entertainment is now severely warped, and the businesses with immoral leadership (not all have this problem) are not immune from the phenomenon underway to unjustly coerce, pressure and punish people into accepting what a select few desire to be the new ruling-cultural norms and mores of the day. These are days in which we must prepare ourselves in advance for the unexpected and even extreme situations that may arise, and suddenly so, between people. We must as individuals take inventory of our hearts and minds, and know right now, in advance, what we will stand for and what we won’t tolerate; no matter what the potential negative feedback from others or sacrifice of comfort. We must be firm in our understanding of what truly is right & what is wrong. The world has seemingly slithered into a new epoch that props up and promotes the non-factual, illogical, unreasonable, unfair, unjust, and irrational — let alone, un-biblical — just to further agendas. That’s a very dangerous practice, as history has proven, that always threatens to squash inalienable rights. As independent thinkers, we would be naive to sweep this pattern that Airbnb is contributing to under the rug and believe all is still “business as usual” and well, just because it’s not directly impacting us individually. No, all is not well, right now. When some are strong-armed — we’re all strong-armed — because the bully eventually comes around to pick on you. We should never wait, until so many of the good guys are picked off that there are no longer enough to put up a good, strong front. The days of old are not returning. It’s a new age in which the sober must speak out for what is right and against what is wrong, and educate others (especially the young). And, we must recognize and look to the only transcendent standards that exist and that are above moods and special interests. We must leverage and point to the standards of God and what He says are right and wrong in His eyes, because man’s eyes & heart tend to blur in compromise for the convenient, what feels good, what pleases others, and greed. We need to know what our convictions are and where we stand now, because the cultural climate — the spirit of the age — is not gentlemanly or ladylike, and it is growing more violent/bully-ish and unreasonable by the hour, and that is wrong. We mustn’t accept, tolerate or support what is unjust or having “choices” and points-of-view forced upon people. Man has a God-given right to choose for himself. And we must choose to stand or be rolled over. Doris, your response is quite lengthy but I hope many people read it. You articulate so many important points very well. Thank you. Our family was showing friends a “Buyer’s Guide” from the organization, The Human Rights Campaign, and then our friends said that they didn’t believe in boycotting companies. Our daughter made a profound distinction when she described her thoughts about how our family makes purchases. She said to our friends that we engage in “moral” purchasing rather than calling for massive boycotts. Her insight touched me. It also sounds similar to what you and Susan are doing. Another conversation with a Canadian friend who is a commercial airline pilot revealed that he hates “Capitalism.” I asked him if he could define “Capital.” He then thought through what I was asking him and he happens to own rental homes. He said, oh blank, I’m a blank Capitalist! I didn’t quite expect his response, but he did realize the conflict with his position. I find that people get a lot more out of conversations when there is a mutual understanding between the parites involved. There are definitely “common language and common sense” barriers between people in society at large. Finally, there are those companies and organizations that ought to be exposed but they’re not because their very aim is to destroy a common idea of “America.” Acceptable businesses are anti-Capitalist according to the avant garde! Kudos to you and to your Canadian friend for being able to go beneath the surface and actually think. Initially, only Justin will receive the benefit if he drops Airbnb. But the boost to his self image will be significant. Then again, you never know–Actions have consequences –A pebble thrown into a pond makes ripples which travel quite a distance. If the posting of Justin’s letter and your response encourages people to have the courage of their convictions then who knows?! You are right, Rich. More often than not, we don’t know the impact our decisions have in this world. I no longer buy Ben & Jerry’s because of their support of the BDS movement and I’ve never had reason to use AirBNB. I also am faced with the problematic support of both BDS and the Palestinian Authority by most of the old mainline churches, including the one I grew up in. Since I moved to my new home in Pennsylvania, I have not been able to find a church I feel I can put down roots in for this reason. I was dismayed recently when the Mennonite church adopted the BDS position. if one loves Israel and the Jewish people, how can one support a church that does not, even if the local congregation may not agree with that position? I pray continually for the Holy One to wake up the old mainline churches to the truth of what they are doing and bring them to repentance. Thank you for bringing this issue to the forefront once again. Blessings and Happy Chanukah. Joyce, we know too many people, both Jews and Christians who felt “pushed out” of the synagogues and churches in which they grew up or where they belonged for years because of stances the places adopted. We even had a Catholic friend tell us he wasn’t comfortable in his church because the priest was wishy-washy about making pro-life statements. What a world! I’m not positive that I understand your point, Jhonni, but I do see that your heart is in the right place. Greatly I admire your stance of caution against supporting or acknowledging spurious ‘-isms.’ The tired old ‘anti-Semitism’ card has become especially abused by progressive or secular leftist operators of Jewish persuasion who use the epithet ‘anti-Semite’ as the ‘label of death’ to hang like a millstone about the neck of an opponent. It goes like this: “I am a Jew: you disagree with what I say. Therefore you must be anti-Semitic.” I mention this because I have heard it several times. Still more common today is the similar paralogical wild-card: “You criticize our black president: therefore you must be a racist.” Such labeling is particularly ominous today, when accusations rule without burden of proof and so many of the younger generation seem not to be taught the power of critical thinking. What you are stating is exactly what we are so wary about, James. And as you say, just like happened in the boy who cried wolf, when you diminish a phrase by overusing it, it isn’t available when needed. Exactly! Only a fool would assert that anti-Semitism does not exist. But just like the boy who cried ‘wolf!,’ the anti-Semitism card has been overplayed as an epithet to neutralize political opponents. Yet when genuine anti-Semitism rears its ugly head, the word having been cheapened and trivialized to a routine political prank, who will take notice and who will act?